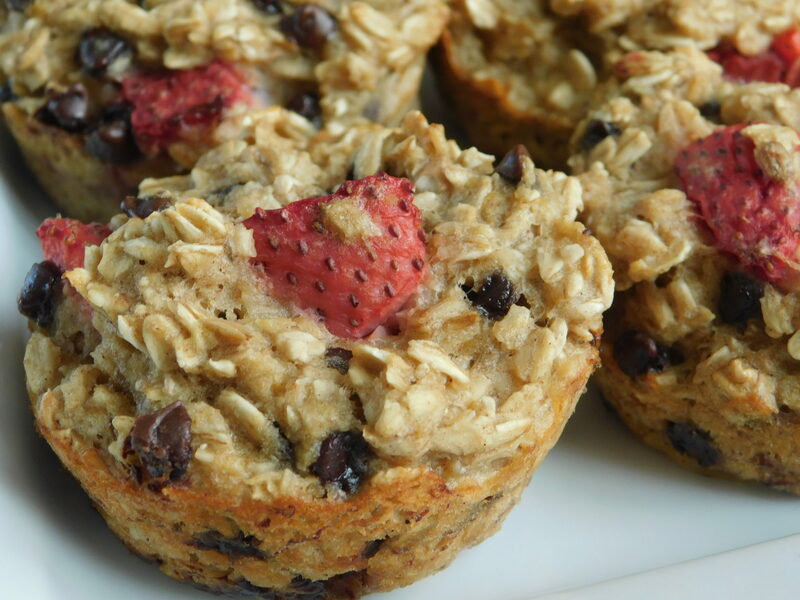 Strawberry banana chocolate chip oatmeal muffins - Drizzle Me Skinny!Drizzle Me Skinny! 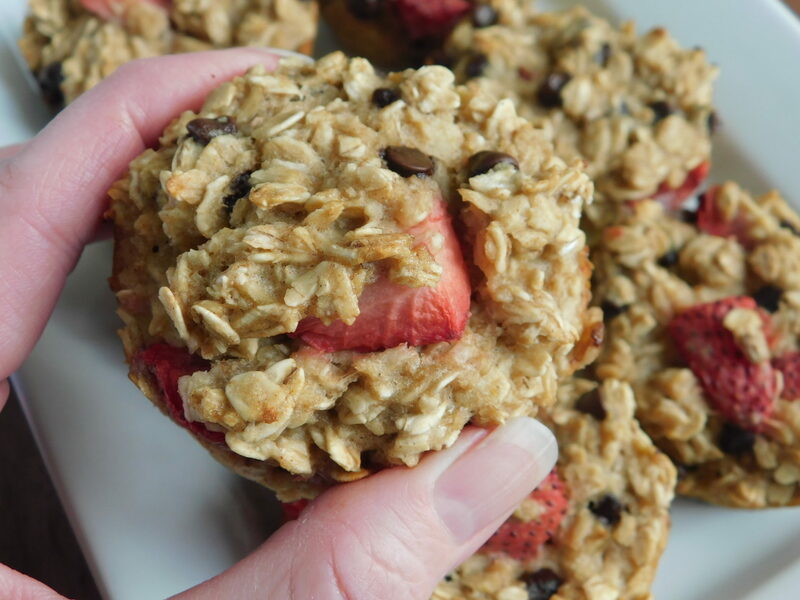 I’m not a fan of oatmeal and I can assure you you’ll never find overnight oats in my fridge 😉 but I do love using oats as the base of a good fresh baked muffin. 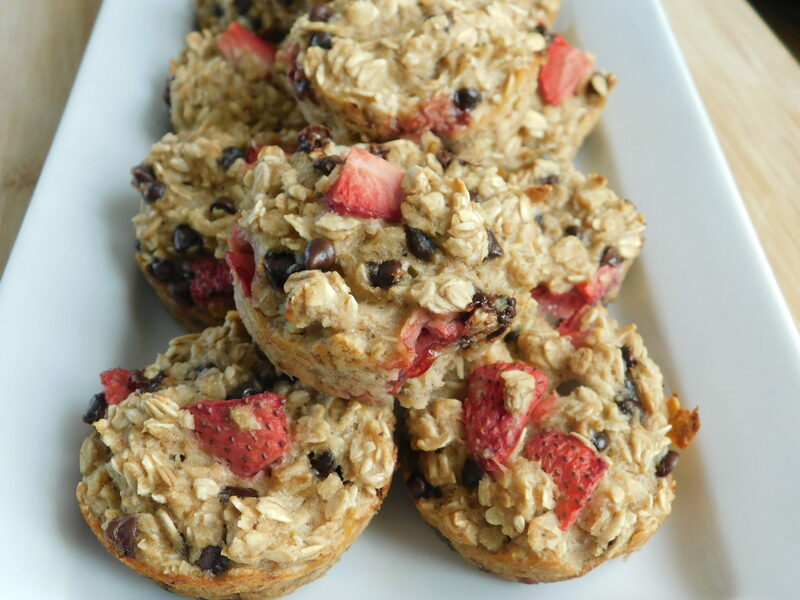 These strawberry banana chocolate chip oatmeal muffins are so tasty and make a great quick grab and go breakfast. 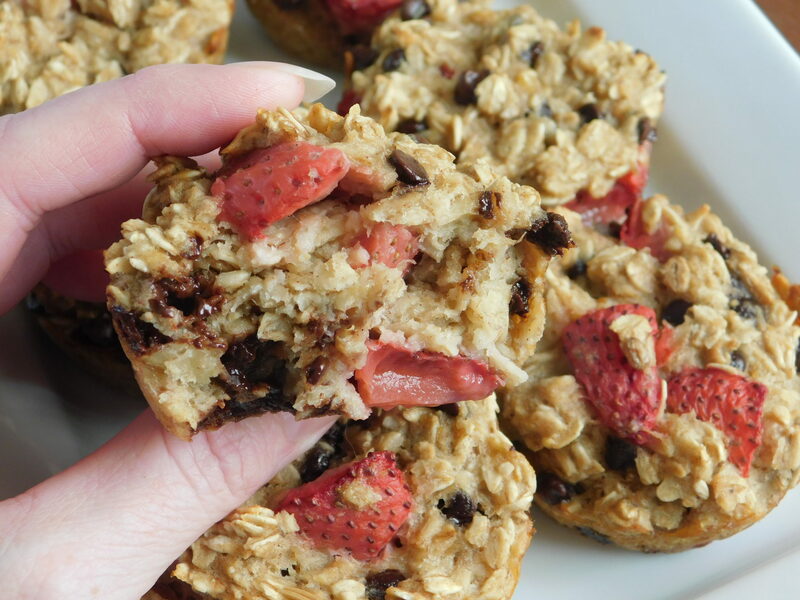 The Strawberries and chocolate chips provide just enough sweetness and they are only 3 freestyle smart points each. 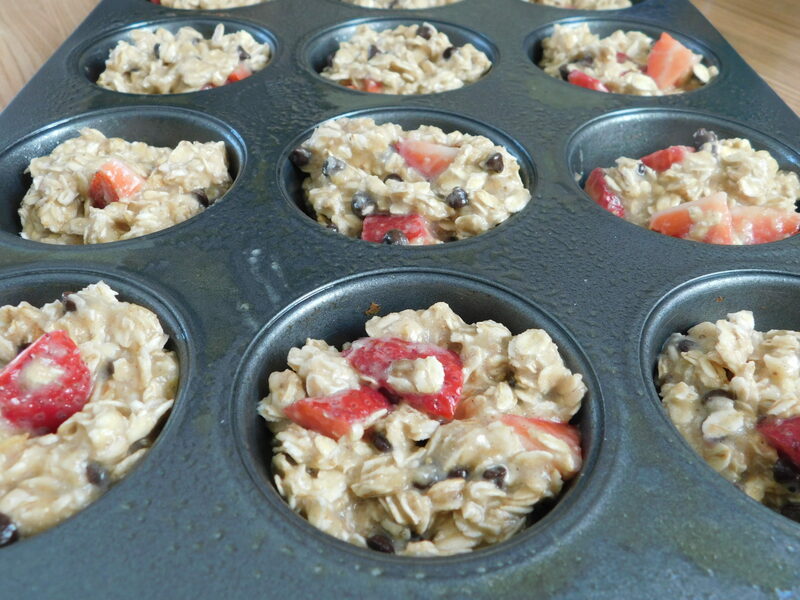 Preheat oven to 350F, spray a 12 hole regular muffin tin. In a bowl whisk together your egg and brown sugar. 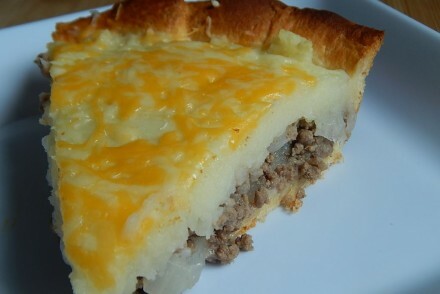 Mix in mashed banana, applesauce and milk. Bake in oven for 22 minutes, cool then serve. Thank you so much for your awesome recipes, I am a weight watcher lifetime member and so happy to have discovered your website. 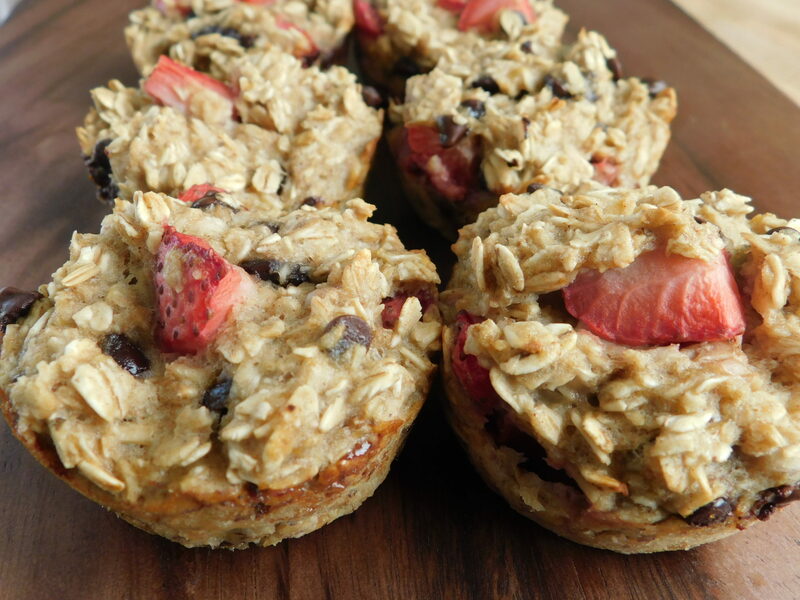 This new version of the banana muffins (I call them banana split muffins) is the best yet. I just made my third batch and I subbed in dehydrated strawberries and they are really good. Will it still work if I use water instead of milk? I’ve been on WW for 8 months and still have a ways to go. I just found your site today. These look really good! 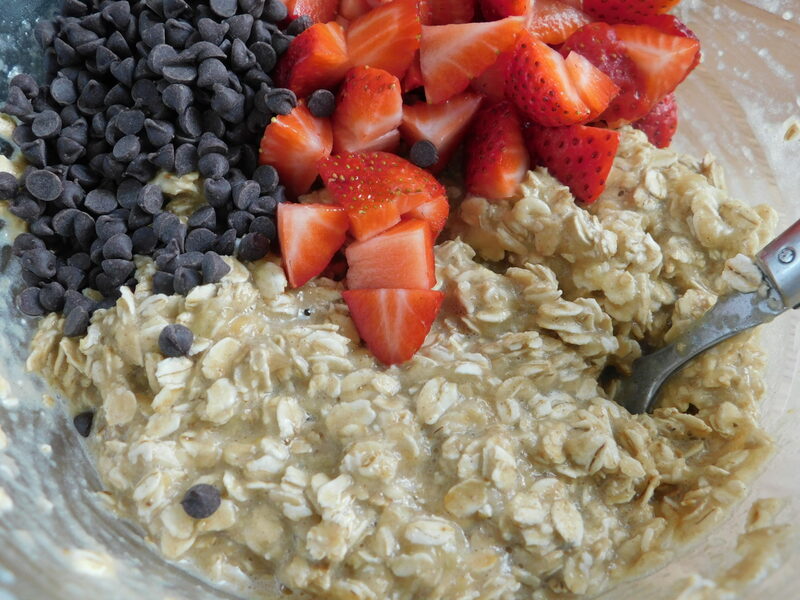 These look great but I really dont like bananas, what would be a good substitute? 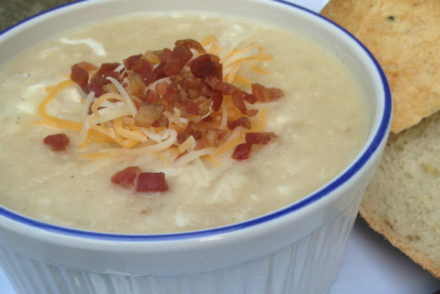 I just made a triple batch of these and they are delicious! Thank you for the recipe. 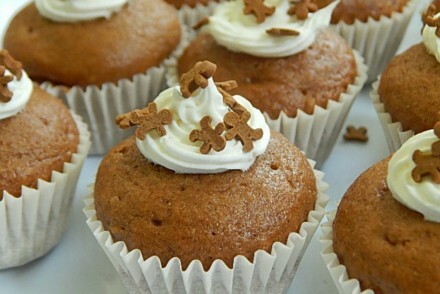 Have you ever made them with paper muffin liners instead of spraying the muffin tin? I may have used papers b/c I am taking them to a brunch and the first batch came out really wet? Should I remove the papers while they are hot or just let them to dry? I’m afraid of when they go to pull the paper off the muffin will pull apart???? thanks!